This blog is the first in a four-part series on mitigating risk through your power purchase agreement (PPA) procurement process. Each blog in the series will focus on a different risk: market risk (cost of energy), operational risk, execution risk, and reputational risk. Energy price risk affects all businesses. Across every sector, organizations are exposed to the fluctuating cost of energy. The larger the organization, the greater the impact. Leading businesses across the country are taking advantage of a unique opportunity: they’re locking in historically low renewable energy prices for the long-term. Power purchase agreements (PPAs) provide organizations with the ability to contract for 10-20 years at a fixed rate, often below the cost of “brown” power from the grid. Organizations that sign a PPA can reduce their electricity expenses and gain stability in financial planning as a result. But, how can a buyer be confident that the selected PPA will provide price stability relative to the fluctuating conventional energy market? The answer to this question lies in historic market trends. Over time, the cost of fossil fuel-based energy continues to trend upwards while the cost of wind and solar electricity generation continues to trend downward. Even with historically low oil and gas prices, renewable energy is cost-competitive with fossil fuel-based energy generation in many areas of the country. How can we be confident that renewable energy costs will remain competitive? Conventional energy production and renewable energy production have a fundamental difference — their cost structure. While the development of any new energy generator requires procurement, permitting, and construction, fossil fuel based generators inherently have a fluctuating fuel cost, meaning there is long-term uncertainty as to the cost of energy production from such sources. Renewable energy, on the other hand, is not linked to the price of fuel, and therefore has a predictable long-term cost of energy production. This is great news for corporate renewable energy buyers. A long-term renewable energy contract represents a real opportunity to hedge against increases in traditional energy costs. Even with the promising competitive price trends, predictable prices alone won’t guarantee that a renewable energy PPA will produce the valuable financial benefits organizations are seeking. 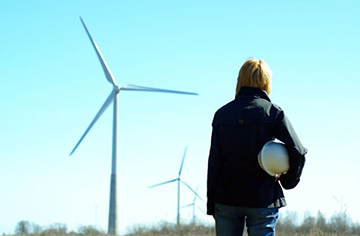 To learn more about risk identification and mitigation in a successful PPA procurement process, download the Renewable Choice Energy white paper Proactively Managing Risks to Accomplish Your Long-Term Renewable Energy Goals today.